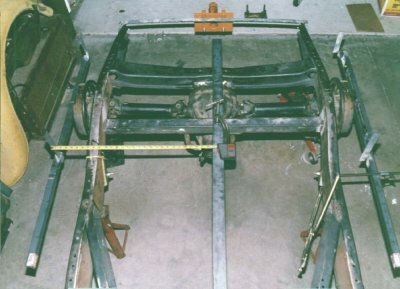 frame and how I used the jigs to setup initial toe-in. a 3/8" plate at the proper angle to mount the center section. 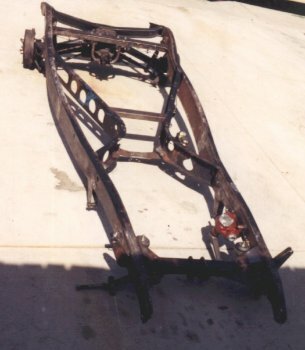 way back and replaced the front cross member. welded in mounts are for fenderless roadsters. to bolt on right there. and clamped down some bar stock. That bar stock stayed there until the frame work was completed.